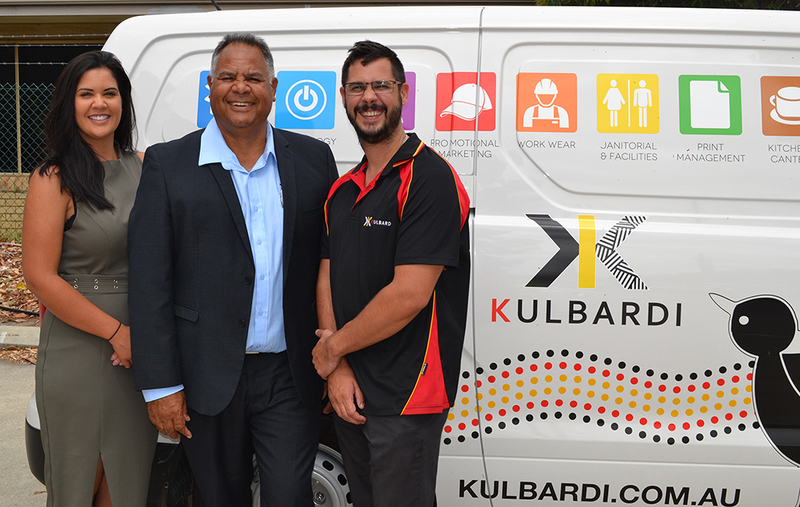 Kulbardi is Australia’s largest Indigenous-owned holistic workplace supplier. This means that our customers only need to look to Kulbardi for products which helps their workplace operate productively and cost-effectively. Whether you’re looking for stationery, kitchen and janitorial products, printed stationery or merchandise, corporate or safety workwear, or help with furnishing your workplace, we make it our business to deliver a worry-free experience. Our customers have access to a personalised version of our website which makes ordering simpler for its employees. Our local account managers also work to ensure our customers are well-stocked on their workplace requirements. With warehouses located in Sydney, Melbourne, Brisbane and Perth, we can ensure that your order is delivered promptly. We also leverage our supplier networks and relationships to secure the best prices possible to deliver savings for our customers. We carry over 15,000 products lines ranging from well-known household brands to more economical alternatives. We are also proud to carry Bibbulmun, a range of workplace supplies which gives back to Indigenous Australia. Bibbulmun products are just one of the ways Kulbardi supports businesses to meet its Corporate Social Responsibility goals. For more, read our Corporate Social Responsibility page. Kulbardi is trusted and well-regarded by many of Australia’s largest businesses and government agencies. It is also a Certified National Supplier of Supply Nation, allowing procurement teams of all non-corporate Commonwealth entities to fulfil their targets under the Indigenous Procurement Policy. Talk to us about your workplace requirements and discover the Kulbardi difference that even our competitors talk about.